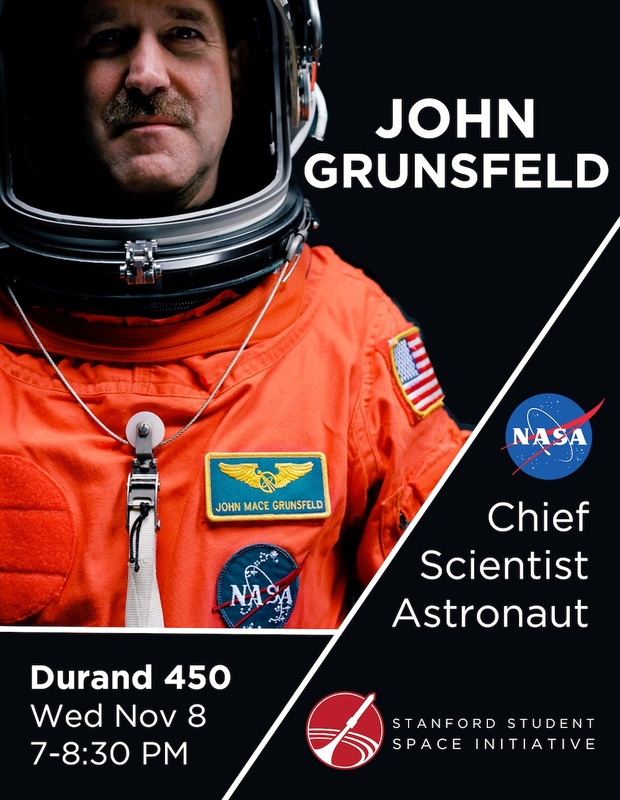 John M. Grunsfeld was named Associate Administrator for the Science Mission Directorate at NASA Headquarters in Washington, D.C. in January 2012. He previously served as the Deputy Director of the Space Telescope Science Institute in Baltimore, managing the science program for the Hubble Space Telescope and the forthcoming James Webb Space Telescope. Grunsfeld's background includes research in high energy astrophysics, cosmic ray physics and in the emerging field of exoplanet studies with specific interest in future astronomical instrumentation. He will be speaking in Durand 450 on Wednesday at 7pm. As President and COO of SpaceX, Gwynne Shotwell is responsible for the company’s day-to-day operations and for managing all customer and strategic relations. She joined SpaceX in 2002 as Vice President of Business Development and the company’s seventh employee. Since that time she has helped SpaceX secure over 100 missions to its manifest, representing over $12 billion in contracts. In addition to building the Falcon vehicle family of launches, Shotwell is also driving efforts to fly people on SpaceX’s Dragon spacecraft, send private passengers around the Moon, and land the first private spacecraft on Mars. 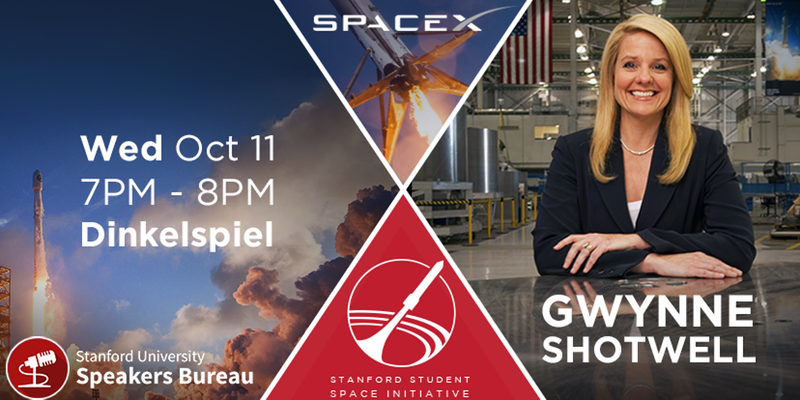 On Wednesday, October 11th, Shotwell will share SpaceX's story on the road to Mars. After the talk, there will be a Q&A session hosted by Steve Jurvetson from DFJ Venture Capital. If you'd like to donate to SSI for hosting this event, please visit http://ssi.stanford.edu/give. Thanks! Last Thursday, February 16, a few members of SSI loaded a rocket, an optical communications transmitter, and the world-record breaking SSI-47 ValBal into a ZipCar to head to Dartmouth Middle School for their annual STEM science fair. The Education and Outreach team had a great time discussing our current progress and goals for SSI as an organization and for the individual teams with students, parents, and teachers alike. While SSI is an organization that is constantly looking up, opportunities like these allow us to bring others along for the ride as kids in NASA shirts and former industry representatives alike join us for a brief time in exploring our shared passions. 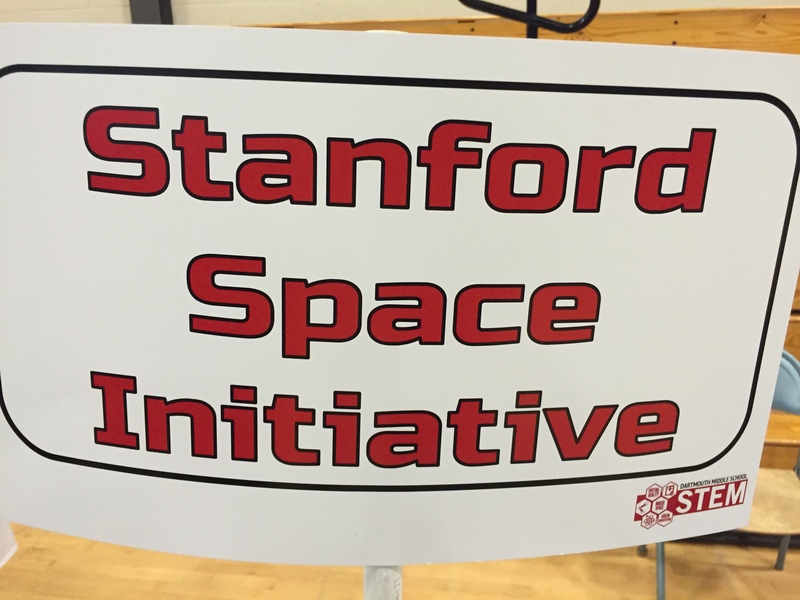 While Dartmouth's STEM fair was a great chance for SSI to be involved with the community beyond Stanford, it also served as great practice for the booth we plan to have at the 2017 Bay Area Maker Faire from May 19-21. We hope to continue to reach out and inspire as we push further up and away from the world on the ground! Last Thursday, on November 17th, a group of us made a trip out to Fremont to tour the manufacturing facility of one of our valued sponsors: Bay Area Circuits. It was really awesome to see the physical process that happens behind the scenes to allow us to send out PCB designs one day, and then receive them in the mail a few days later. We toured pretty much the entire facility. From the solder mask LDI machine to the CNC via drill presses with 4 mil drill bits, the process that goes into these circuit boards is very interesting. My personal favorite was the PCB verification machine, which checks literally every connection on a PCB using eight moving probes. All of us in SSI, and especially the electrical engineering students, owe BAC a huge thank you. We make a lot of PCB’s for a variety of applications, and we can always count on BAC. We gain more than just the monetary value of the sponsorship, our partnership with BAC allows us to learn more about the manufacturing process, and being in close contact with our manufacturer allows us to meet tighter deadlines. We love having our boards manufactured locally, and there’s no doubt that the relationships that some of our members form with BAC will carry on as our members graduate and enter industry. Special thanks to Ron for giving us the tour, and Brian for setting it up.